Natural health principles like using herbs, essential oils or consuming whole diets are the best ways to have healthy body and lifestyle. These essential healing herbs and their uses are beneficial. Here we are going to talk about healing herbs. When we talk about healing most people think it is something related to bad taste medicinal herbs but this time you are wrong. There are certain herbs that make your foods tastier, spicier and healthier at the same time. Herbs have used for their healing properties since so many years. Experts and scientists are finding more about the herbs that how beneficial they can be and according to them herbs can treat arthritis pain and inflammation, lowers cholesterol and blood sugar levels, regulates blood pressure and aids in many diseases. There are some herbs that even kills cancer cells and helps in curbing alcohol desires. Cinnamon is beneficial in lowering blood sugar levels as in study conducted in Germany, consuming cinnamon can reduces the type 2 diabetes up to 10%. It is also beneficial in regulating the cholesterol levels in the body by reducing the risks of heart diseases. It reduces the cholesterol up to 13% as compared to the other medicines. Cinnamon reduces weight, improves bowel movements, and prevents constipation. 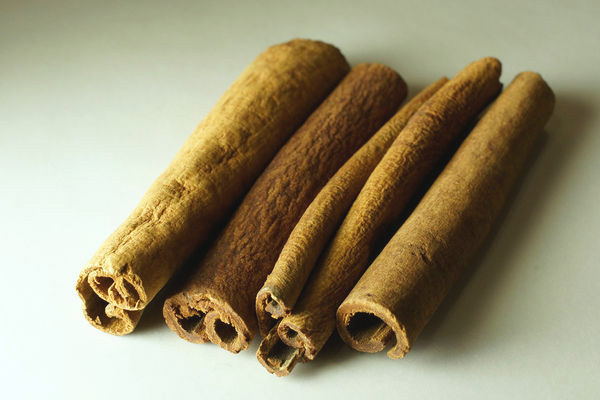 To maximize its benefits, cinnamon powder can be used in capsules with water to treat cholesterol and diabetes problems. It can also be used as sprinkled over cereals, smoothies, or salads. Cinnamon tea can be made by steeping a piece of it in boiling water to lose excess weight.